Well, I’m going to have to write about The Perilous Gard and The Gammage Cup. But today is our group’s big Journey North party, which means Jane and I need to rustle up some Malaysian food. I think we’re going with this. In the meantime, I wanted to round up some of my posts about books I love “truly, Maudly, deeply.” That’s Maud as in Maud Hart Lovelace, of course, and what I mean is books I have a mad passion for, such as Maud’s Betsy-Tacy and Deep Valley novels. I’m going to be doing more writing in this vein in the weeks to come. The itch is upon me. There are a great many other books that belong here. Streatfeild’s Shoes books—I talked about them a little bit in this review of Noel Perrin’s A Child’s Delight. Also mentioned in that post, and belonging on my Maudly list: Watership Down, Dogsbody, and Johnny Crow’s Garden. Candidates for future Maudly posts: the rest of the Betsy books, obviously, and the Anne books, The Blue Castle, Little Men, Understood Betsy (how is it possible I’ve not blogged about that one before? ), Ginger Pye, The Golden Key, Papa’s Wife, The Witch of Blackbird Pond, Linnets and Valerians (touched on but not fully explored), A Severe Mercy, The Silver Chair, On the Banks of Plum Creek (my favorite LIW), Possession, Persuasion, The Secret Garden, Dragonsong, I Am One of You Forever, The Railway Children, and, well, I could keep this up all day,* but I’ve got some Malaysian chicken to cook. What are your Maudly books? *My list keeps growing in the comments. I’m deeply chagrined I didn’t put L’Engle on the list above. Sheesh. Cleary. I can’t believe I forgot Cleary. Beezus and Ramona, probably; I read it to tatters. I’m a big sister and Beezus really spoke to me. Little Witch by Anna Bennett (I think)—a book I remember adoring, checking out over and over. Anyone else read that? I don’t remember much about it now. It also jogs Dorrie memories: oh how I loved that little witch and her socks. Some book about best friends, or a troubled friendship maybe? One was named Katie. That’s not much to go on, is it. It wasn’t Katie John. L’Engle!!! What’s wrong with me! Ring of Endless Light and Swiftly Tilting Planet are in my TOP 25 MOST BELOVED BOOKS EVER (if I could manage to commit to such a list). Heidi. Bet I reread that twice a year between ages 9 and 14. And half a dozen times since. I said MacDonald’s The Golden Key above, but on second thought, it’s really his The Wise Woman that made the deepest impact. I haven’t put Tolkein because I don’t think I can write articulately about what those books mean to me. They’re what Scott and I first connected over, so, you know. Big. There are lots of books I love but haven’t read half to death—my Maudly books are the read-to-tatters ones. Dahl! Those were repeated library checkouts, as a kid. The Charlies and James, mostly. Matilda is one of Beanie’s tatters books. Will your kids eat something that fiery? Mine will not, alas. I wonder if I should include Lang’s Blue and Green Fairy Books? I certainly read those multiple times…oh Princess Hyacinth! Jamie, no, not a chance—I’ll be toning the heat WAY down. WAY. The Katy book. Was it ‘What Katy Did’ by Susan Coolidge? That is a ‘Katy’ book I enjoyed as a child and have wanted to reread to see what I think of it now. 🙂 I haven’t seen it on any homeschool reading lists so I’m kind of curious. So many of these are favorite but I’m especially glad to see “The Blue Castle” on here. Rarely do I meet someone who knows that book and I could read it over and over. And I actually like the Emily series better than the Anne. And of course Madeleine L’Engle’s books (my daughter’s middle names are Madeleine Emily Anne which connects with all of the above). My favorite L’Engle book is again, a less common one — “And Both Were Young”. My children are wild about “The Railway Children” and I love all of Nexbitt’s books, particularly “The Enchanted Castle”. We’ve just listened to two of the Shoes books. I thought I had all of them but recently made a wonderful discovery of Party Shoes set during World War II. And of course Narnia — we listen to the whole series on tape once a year. Looking forward to checking out some of the one’s I don’t know on your list. I’ve looked it up. There’s a Sarah and Katie by Dori White that looks right…pub’d in 1972, illustrations by Trina Schart Hyman, which is EXACTLY what I remember, and now has me wondering if it was THAT book that hooked me on her art. Wow. Thanks. Wow. Copy on the way, so we’ll see if it holds up to the memory. Thanks for remembering Rilla of Ingleside!!! Can’t wait! A Girl of the Limberlost by Gene Stratton-Porter. I’ve read that at least as many times as the Anne books, if not more. The Harvester by the same author is a new favorite. I’m working on all her books now. So glad to see you mention Heidi. Heidi doesn’t get nearly enough love, but really, it’s worth loving even if only for the scenery alone. I read a lot of Zilpha Keatley Snyder growing up, but somehow she just hasn’t stuck with me through adulthood like Lovelace and Stratton-Porter and Montgomery. Plum Creek is my favorite LIW book too. I just picked up Ginger Pye at a homeschool sale last night. I can’t believe I’ve never read it when The Moffats is one of my Maudly books. Ramona is definitely on my list too – Ramona the Brave and Beezus and Ramona are my favorites. 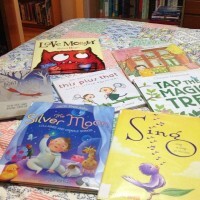 Half Magic (and the other Eager books), The Mitchells, All of a Kind Family, Mrs. Piggle-Wiggle – I’m realizing that I love all of these for the author’s ability to so perfectly capture a child’s emotions, motives, concerns – to make children so real. Perhaps my most Maudly book though is Pride and Prejudice. OH MY GOODNESS the kind of discussion I love best – especially when there are so many ‘ME TOO’ moments when reading the comments! I have QUITE LITERALLY read the following to pieces – Pocket full of Magic, Alison Uttly, Box of Delights- Masefield, Various of the Mary Poppins books, Jane’s Country Year – Saville, various LIW books although The Little House in the Big Woods is my ABSOLUTE FAVE. I LOVE the Katy books – particulary What Katy did and What Katy did Next. I loved the Little Women books, particularly Jo’s Boys and it’s always a joy when I discovery one of Alcot’s that I havn’t read – 8 cousins for example. I’m addicted to all Nesbit and am on my second copy of House of Arden (resist the urge to read about her life – tragic, I havn’t quite recovered yet in fact). I adore L M Montogomory and have recently discovered all the non Anne ones – I know! Blue Castle I bought on amazon on request for a librarian friend (it’s difficult to find) and NATURALLY I had to sneakily read it first… WOW! LOVE L’engle – have just been discovering lots more I didn’t know about – am totally in love with An Acceptable Time at the moment. I thought I was the only person in the world who knew Ramona (i can’t believe I read the whoooole thing!) and does anyone else know Bobby Brewster or is that too English? I’m also obsessed with Agatha Christie and Angela Thirkle and read them all the time..
ooo, and I’ll tell you what I’m reading again at the mo, Terry Prachett’s trilogy about Tiffiny Aching. Awesome. I grew up on chalk too..
PS anyone else known Samantha Lee’s Owen Lightbringer triliogy or is it just me? they are just AMAZING! Ok, maybe for all the wrong reasons but just BRILLIANT! Woah, Lissa, you just added way too many books to my TBR pile! I’ve read lots on your list, but you just didn’t want to quit today, did you? I can’t wait for Rilla; I heart Rilla. That’s my favorite!!! And I want to know why Plum Creek is your fave—I think I’d pick These Happy Golden Years or Farmer Boy. Maybe I just have a crush on Almanzo. Kilmeny of the Orchard by LM Montgomery! I loved The Blue Castle, and like Garnet I prefered the Emily books to the Anne books. The Chronicles of Narnia are amongst my favourites too. most of your list, plus, anything by LM Alcott, The Mitford Books, and anything by Peter Mayle. Anne and Emily are of course on my list. At the top of my list, though, is A Little Princess by Frances Hodgson Burnett. Oh did I ever read the covers off of that one! Also The Secret Garden, though Mary was always second place to Sara. Little Women, Good Wives, Little Men. Lissa, are you sure you didn’t write about Understood Betsy? Because if it wasn’t you then I don’t know where I heard of it. Maybe Karen E.? I can’t believe someone else knows about A Severe Mercy. I devoured that book in college (the first chapter should be skipped then read after you love the book). My husband and I actually took a trip to oxford just because of Sheldon and Davy. And I read it before I knew he was a convert…and before I converted. I keep thinking about the Oz books. It has been many years since I revisited them, but as a child I probably reread that series more than any other. My dad helped me collect them all from used bookstores and thrift shops. We still have most of those books, and I think all of my reading daughters have gone through an intense Oz phase at one time or another. They didn’t lure me back after college and into motherhood, the way other books have. But they were hugely important to the elementary school me and probably warrant a place of honor on my Maudly list. Miss Suzy. Definitely Miss Suzy. Katherine, A Severe Mercy hit me hard. I return to it every few years—or practically daily, depending on how you look at it. There are moments that pop into my mind constantly. Also the relationship between Van and Davy resonates so deeply with me. Scott and I, early in our marriage, tried to read all each other’s favorite books from childhood. It kind of took my breath away when I read about Van and Davy doing the same thing. And now I think I must have set an internet record for greatest number of comments left on one’s own post. Sheesh! Oh I love Papa’s Wife and Papa’s Daughter! As a kid, I read Mark Twain to tatters. Innocents Abroad is my favorite. But I liked a Connecticut Yankee as well. My name is Joann and I am a Jo March-a-holic. I always wanted to have a Plumfield…(alas I have no Aunt March LOL) I adored Rose in Bloom and Eight Cousins. And Understood Betsy is The Book that started me reading *Everything* as a child. My list looks a lot like yours, but you have no horse books. LOL National Velvet and Black Beauty, Flicka, The Yearling. Oh and the Five Little Peppers and How They Grew. Oh and two books that haunt me and so I return but only reluctantly and infrequently: The Grapes of Wrath and The Lord of the Flies. Sigh. I wouldn’t say that I love them maudly, but they are frighteningly memorable and I love them differently than the books that make me happy. 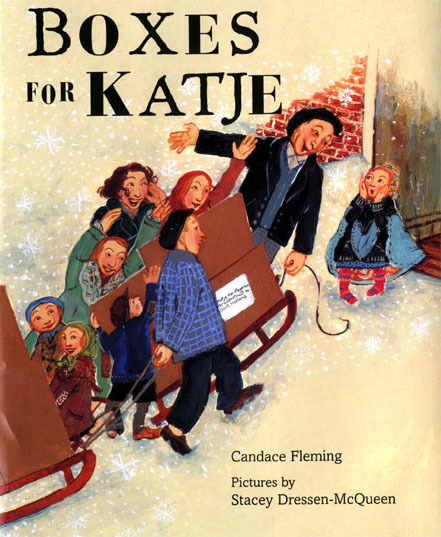 Sarah and Katie was one of my favorite books as a child. My copy is falling apart and I think it has some pages missing. I’d better get a new copy for when my kids are old enough to read it. Apparently Macmillan is republishing them and recently celebrated with a whole Moominweek! I cannot WAIT to reread it. My hazy impression of it is sort of sad, uncomfortable; the girls’ friendship is rocky, as I recall. A third girl, a newcomer, complicates things? I get the same kind of uncomfortable-but-attached feeling about Konigsberg’s Jennifer, Hecate, MacBeth, William McKinley, and Me, Elizabeth, too: another book I’ve not revisited since probably fifth grade. Which reminds me, From the Mixed-Up Files of Mrs. Basil E. Frankweiler absolutely belongs on my Maudly list. Never stopped reading that one. I think of Claudia and Jamie every time I enter a museum. The Betsy books (especially *Heaven to Betsy* and *Betsy’s Wedding*) are at the top of my list too. Also L.M. Montgomery, especially the Anne books. I think my favorite will always be *Anne of the Island* since I loved it so much as a teenager because of the romance. But *Anne’s House of Dreams* and *Rilla of Ingleside* have become favorites as I’ve gotten older. *The Lord of the Rings* becomes more important to me every time I read it. I just finished it a week ago and I’m already itching to pick it up again. Funnily enough, since all my other favorite books are fiction, I also love the works of Dave Barry. His books are among the best loved (read: most bedraggled) in my collection. Lissa, the moomin books are kinda.. dark.. but awesome. Moominmama is like the ultimate motherfigure! Did anyone else read the Ginnie (or maybe Ginny) books? Ginnie and Geneva. Ginnie and the new girl. I loved those books. I’m sure they are not fine literature, but I adored them. This is a great post and comments. My daughter is writing down all the titles we haven’t read. Melissa, have you ever read two of my favorites: The Lark in the Morn and The Lark on the Wing by Elfrida Vipont? I think you would really like them – they are about a Quaker family and a girl who finds her sense of identity through singing. And Both Were Young is my favorite L’Engle and I like most of the others people mentioned (although never heard of A Severe Mercy and am intrigued). My favorite Oz book is Ozma of Oz. No one mentioned Edward Eager or Edith Nesbit. What about A Traveler in Time/Alison Uttley and Barbara Willard’s Mantlemass books and Flambards by KM Peyton? I included The Railway Children in my original list. Love that book. And didn’t someone mention Half Magic? And Both Were Young—is that the boarding school one? Skiing or Swiss Alps or something? I missed that one as a child but enjoyed it a few years ago. But Swiftly Tilting Planet and Ring of Endless Light were my favorites. And Dragons in the Waters. You’ve mentioned several titles I don’t know, Constance—more books to look into! And Both Were Young–wow, I read that book in HS and have thought about it often over the years but could not remember the title or the author. Thank you so much Constance. I will share it with my daughter. I, too, read every Oz book I could find over and over in elementary school, but haven’t been back to them…The Emilys are my favorite Lucy Maud series; The Blue Castle my best beloved stand-alone…An Acceptable Time stands out among L’Engle titles (also A Live Coal in the Sea, but not for kids)…must, must, must re-read Lord of the Rings every couple of years. And one more read-to-tatters: To Kill a Mockingbird. Read it at 13 and have reread it countless times. I love this thread! Like a stroll down memory lane. You must read the very best book in the whole world-Mandy by Julie Edwards! Mandy is an orphan who lives in an orpahange in England(a very nice one by the way) and has a painful yearning in her heart for something of her own to love. She sneaks over the orphanage wall one day and discovers an abandoned cottage that she decides to make her very own. The description and emotion in this book are so beautiful! I think every child can relate in some way to Mandy’s longings. My mother read this to me and my siblings as a child and I have read it to 3 out of my 4 children so far. I have reread it so many times over the years. It truly is my very favorite book in the world! And the author is writes under her married name. you know her as Julie Andrews the actress who starred in among other things The Sound of Music! She is an amazing author. Anyway I just wanted to let you know about a wonderful book. One of my very favorite books of all time is The Blue Castle. The Emily and Pat books are far and away my favorite L.M. Montgomery series over the Anne books. All of E. Nesbit’s books are amazing and I love them. Also I enjoy Edward Eager’s Half Magic. He always cites E. Nesbit as a huge influence. I also love The Peterkin Papers by Lucretia Hale. It is classic! Love all the Moffatt books. I am rereading them now. All the Mary Poppins books are definitely on my Maudly list. I also enjoy the Christy Miller books by Robin Jones Gunn. Definitely on my list!! I feel the same way about the Oz books. Loved them growing up but haven’t been able to get back into them as an adult. And I agree with Cathy Mandy is such a great book! When I was younger my 4 sisters and I called books such as The Little House books Saving Up for Winter books. The term came to mean books we absolutely adored. We also use the term Race of Joseph(from the Anne books) to describe those who know what good books are! But number one on my list will always be the Betsy-Tacy books especially Betsy and Joe. Nothing will ever top them! Oh, we are so clearly kindred spirits!! Just found your blog! I am in bibliophile heaven! I read Little Witch to tatters, too. I checked it out to read to the kids and was shocked at how harsh it seemed from an adult perspective. Don’t remember feeling that way at all as a child. The Changling and ?The Velvet Room by Zilpha Keatley Snyder were faves! And Madeline L’Engle-read everything I could get my hands on. I never read any Beverly Cleary as a kid. But love listening to Stockard Channing’s Ramona series. Oh! I have loved everything I’ve read so far-Henry Huggins and kittens crawling out of his jacket as he’s trying to get a newspaper job-had me hysterical and the kids laughing at me! Oh my goodness. I’ve just increased my reading list for the fall tenfold! My favorite books growing up were: Agatha Christie, Trixie Belden mysteries, Wrinkle in Time series, The Phantom Tollbooth was probably my fav next to Wrinkle. A younger book I enjoyed, have read to my kids several times and have many copies is The Story of Ping. Don’t know what it is about that book, but its a fav. My kids favs are: Spiderwick Chronicles, Edge Chronicles, Chronicles of Narnia series, Anne of Green Gables, Lemony Snicket books, Guardians of Ga’Hoole series, SHel Silverstein poetry books, Cressida Cowell Hiccup books, Christopher Paolini books, many books by Cornelia Funke, City of Ember series and Artemis Fowl series. Thanks for all your book recommendations. *The Beanie books by Lenora Mattingly Weber–also, strangely enough, her cookbook. *Maida’s Little Shop, about a crippled rich little girl at the turn of the century who needs something to do so her father buys out a small Boston shop and she runs it. So evocative of Boston in the fall. My children have ALL loved this book dearly, as I did when I was a child. *The Golden Name Day, by Jennie Lindquist (illustrated by Garth Williams). A Swedish-American story, so beautifully told. *Jane of Lantern Hill–my very favorite Montgomery. I have to read it every summer. *Treasures of the Snow by Patricia St. John. That along with Heidi has fueled a lifelong love affair with Switzerland and the alps……we have just returned from our third trip as a family. Treasures of the Snow is less well known than Heidi but it is my favorite Christian children’s novel–a deeply redemptive story, and very rich. *Primrose Day, by Carolyn Haywood. And then my adult maudly favorites–D.E. Stevenson’s Amberwell, and anything by Maria von Trapp. Drawn from New England by Tasha Tudor. Can I be the only one who loved and read Lorna Doone to absolute tatters as a child? R.D. Blackmore? I love the list and found a few to look up that I remember from childhood but have forgotten since- and a few more that never made my librarian-guided stacks. Thanks!